Toad is a small music venue and one of the last in the area to host live music with no cover charge for the audience. It attracts what reviewers refer to as open-minded musicophiles as performers. Toad tends to be packed every weekend night, so get there early if you can. This location for live music is a top pick of the critics. It launched the career of the guitar band Nevermind and its owners tend to select loud playing guitarists as feature musicians. It’s different on Saturdays when the DJ favors new wave music. This place has quite the history. Joan Baez, Bob Dylan, and other folksy type singers played here in the 1960s. Club Passim continues to attract plenty of self-identified hippies and singer-songwriters who produce mellow, relaxing music. One of the few local music venues to get a five-star review from critics, The Sinclair has its own restaurant as well. 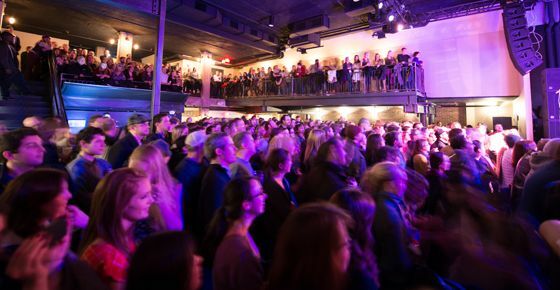 Independent artists love performing here and there is plenty of elbow room with its two-story floor facing the stage. Brighton’s Music Hall is one of the premier locations for live music in the entire Boston area. You can enjoy a variety of music styles and even take in a comedy show. Some of the bands playing here over the summer include letLive, Pat McGee, and Belly – The Band.